My Aida64 screenshot. This screenshot is from my current setup with a 775 CPU, so I'm not sure if it's of much use. Current problems: I'm trying to use a 771 CPU with it. It POSTs fine, but 64-bit Windows will not boot. 32-bit Windows boots, and Linux seems fine. Also, if a "restart" command is issued from anywhere, either from Windows, Linux, or even the BIOS setup, it'll reboot into nothing, forcing me to do a hard reset. I guess this is an issue of "CMPXCHG16b / CompareExchange128 not being supported". The microcode in the BIOS is from 2008, so I thought updating it to the latest stuff might help. Delidded's guide said that "Intel may be using a secure checksum to prevent people from modifying [their BIOSs]", but I gave it a shot anyway with donovan6000's Insyde BIOS guide. I updated the microsode in Intel's provided BIO file as described in that guide, but as semi-expected, none of the official BIOS flashing utilities accepted my mod. So I bought a CH341A programmer and SOP-8 test clips to interface with the BIOS chip directly, to bypass the official tools. I quickly found that, whoops, the BIOS chip is a standrd 8 megabit/1 MB thing, but Intel's BIO file was over 3 MB--it had a bunch of other stuff going on with it. I was messing with the wrong file. Which is not obviously updatable, at least not with donovan6000's guide. So that's where I am right now. We need some way to "decompress" my dump so the microcode can be easily updated, or we need an alternative way to update it directly. Don't know if that's possible, but I figured it was worth an ask! Thanks! 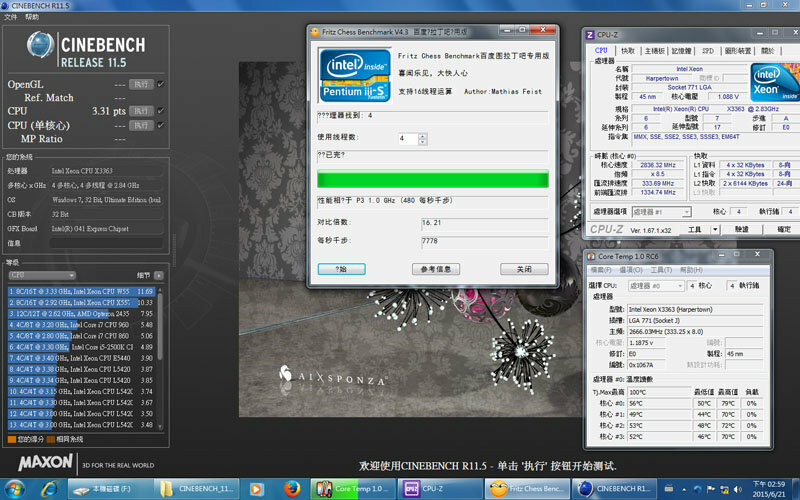 The bio file we download from intel official webpage , i think it seem contain many fake and protect ,and when i modify it any ,it will not pass flash utility check(windows update package,else) ,it cann't flashing correctly. 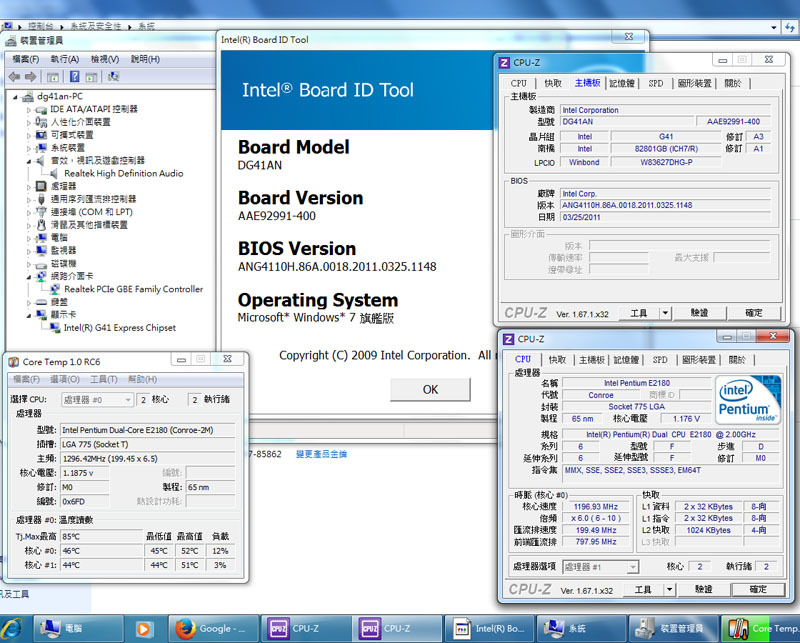 So if we want to modify the intel bios,we need direct read data from chip,after modified we rewrite to chip again. I use a hot air desolder and solder it again. I try to modified your dump bios file,maybe you can rewrite it and test. 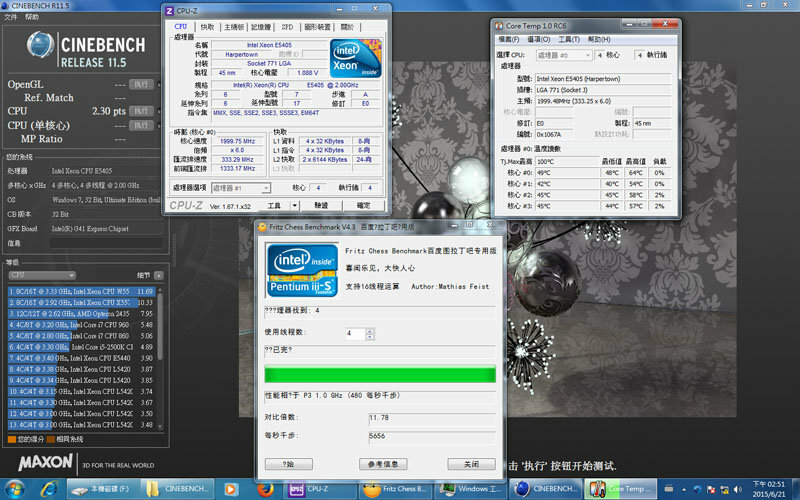 My some experience for inject 771 micro code with intel official mainboard,.as follows. These board i have sold. dg45fc can boot by a e54xx 771 cpu,but e53xx it show a uncompatible message then shut down. Guys, I need help. 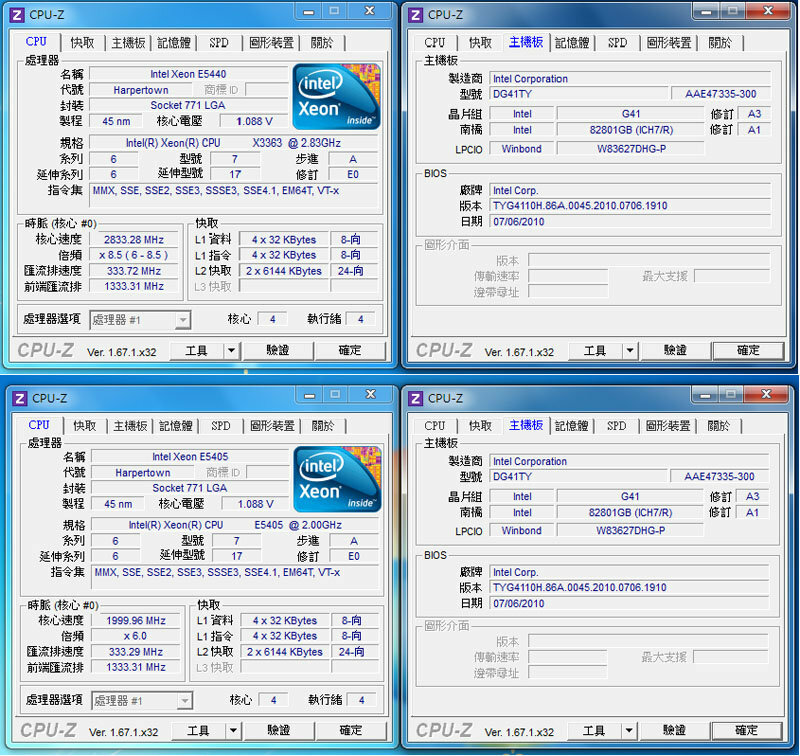 I have an Intel motherboard (model DG41RQ) and recently I bought a Xeon x5460 cpu, and I have already seen reports of people using the same motherboard with the same cpu, but I do not know how to install the Xeon microcodes on the bios of my motherboard. I know it's very complicated in the intel bios, I'm not even sure if it's possible, but I really need a tutorial. thank you! Install your X5460, boot from this DOS USB-stick and make a photo of the screen with results. Sorry, my cpu has not yet arrived, I believe that Wednesday she arrives at my address. As soon as I arrive I will make what you told me. thank you! despite the info available regarding compatibility of Intel DG41RQ with all 771 1333 Xeon, it is not working as expected. 2) FAN is always running at 100%. Windows 7 boots correcly, CPU Z identify the CPU correctly. Install your Xeon, boot from this DOS USB-stick and make a photo of the screen with results. DeathBringer you make it! With your provided CHECKUP7 utility, the FreeDOS USB stick booted and informed me that BIOS is capable to support upgrade of Microcode, then it executed and now everything is working perfectly! unfortunately I was too optmistic, the proposed solution works at 98% with my Xeon X5470. - Leave the installation Win 7/10 into the DVD and let the "Press any key to boot from CD/DVD" run. In these cases, the OS is started correctly and everything works smoothly. If you use PLOP (a boot manager) to start-up the OS, the system gives an error that the primary partition signature is wrong and it is unable to boot. I'm not a tutor for OS installation.